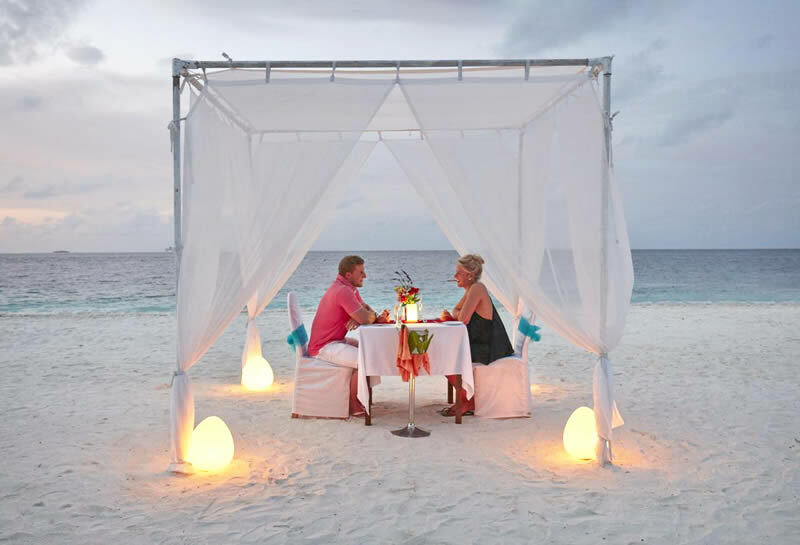 Adaaran Club Rannalhi is located in the South Malé Atoll and has everything you need for a perfect holiday in the Maldives - stunning white sand beaches, warm turquoise waters, water sports, all-inclusive meals, and comfortable rooms on the beach or over water. 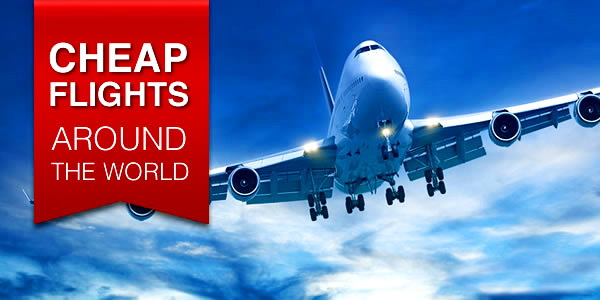 With a unique location, there are much more luxurious hotels around (and more expensive), but relatively easy access to Malé airport and reasonable prices make Adaaran Club Rannalhi a good choice for the Maldives. 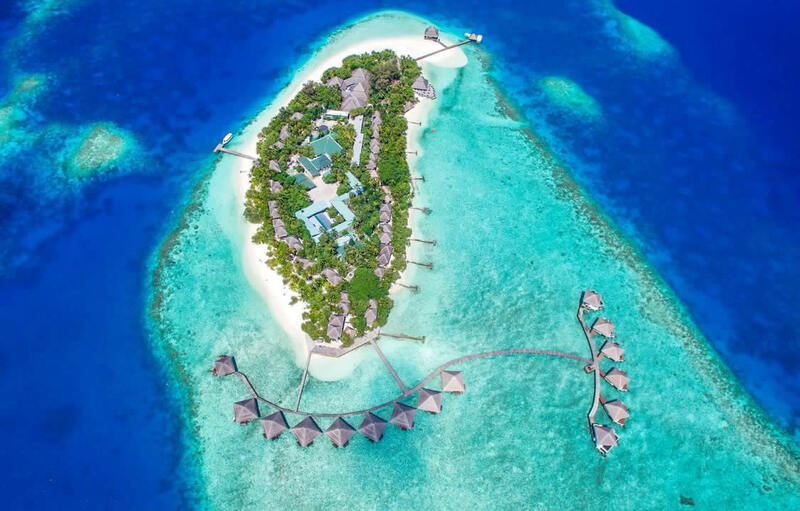 Nevertheless, it is worthwhile to compare it with the Olhuveli Beach & Spa Resort, which has more nice rooms and two luxurious infinity swimming pools. An Italian tour operator usually fills around half of the rooms at Adaaran Club Rannalh. That percentage is less than the high season, but still the feeling of an Italian club is everywhere in Adaaran Club Rannalhi. If this does not scare you, then this resort is a good value for money option. Adaaran Club Rannalhi is one of the best hotels in Maldives and sits exclusively at the tip of the South Male atoll. Its unique location offers access to pristine beaches, excellent scuba diving opportunities and a relaxed environment with easy access to the capital city of Malé. 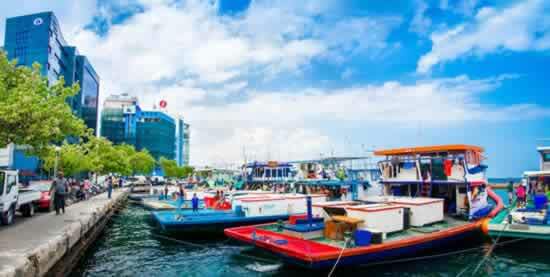 Expect a bumpy, 40-minute speedboat jorney to Adaaran Club Rannalhi from Malé Airport. Upon arrival, guests are welcomed at the jetty that’s surrounded by dazzling turquoise water, and then escorted to a lobby with thatched roof. Most of the guests at Rannalhi are a cosmopolitan mix of Europeans and Asians, who can all get a night speedboat transfer from Male Airport. The resort is friendly for children of all ages and has a playground, but couples and newlyweds here are the vast majority. The 96 standard rooms offer elegant, Maldives accommodation and boast all modern conveniences while complementing the natural surroundings adding to the ambience. Guests can choose between beach Standard Rooms and two types of Water Bungalows one with a glass peekaboo in the floor and newer versions without. Located throughout the expanse of the island, Rannalhi’s two storey chalets offer comfort and space in your private living area, with full facilities. Offering unhindered views of the verdant gardens or the tranquil ocean, these living blocks are made of concrete, but they are pretty attractively decorated. Inside, expect an environment of simplistic elegance along with tropically themed furnishings and facilities, including a mini bar, king size or twin beds, spacious bathroom with hot/cold fresh water & shower cubicle, terrace or balcony; IDD phone facility with direct dialinghairdryer and a large multi-channel TV. A luxurious experience in themselves, the 34 spacious and secluded Water Bungalows at Adaaran Club Rannalhi offer panoramic ocean views giving access to the changing scenery when day turns to night. Water Bungalows facing sunset, but they have relatively small sun decks that cannot guarantee complete privacy. Interestingly, old Water Bungalows are more popular than new water bungalows. They are darker, smaller and have a small TV, but they have a glass panel in the floor and more windows on the lagoon side. New water bungalows look fresher, lighter and feature a flat-screen TV. The interiors have nicer decor (expect lots of wood, simple furniture, and an airy feel), private balconies, and stairwells for easy ocean access. Imagine your own slice of paradise just a few feet away from the clear blue ripples of the sea. All rooms include free bottled water and electric teakettles, as well as umbrellas and jackets to protect against the tropical rains. The clean beaches are of good quality and cover about two thirds of the island. Tiny, secluded beaches tucked between the trees offer plenty of shade, while a sprawling main beach is an ideal spot for sunbathing or playing sports. The white sands on the smaller beaches is filled with tiny pieces of coral, so those with sensitive feet may want to wear flip-flops. The south side of Rannalhi, along with the main bar (the main ‘party beach’), had to be strengthened with a series of breakwaters opposing erosion. 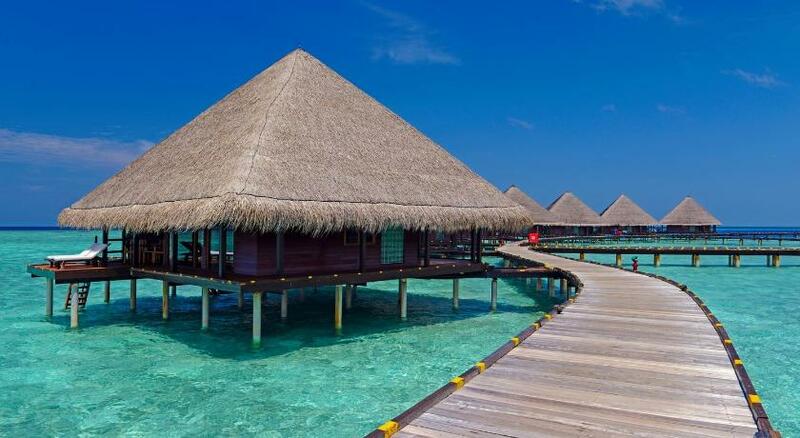 And in the west, behind the water bungalows where the sand disappeared, a wooden walkway was built. The beautiful lagoon retains its beautiful sandy bottom, so swimming is perfect and snorkeling is also close by. The main buffet-style restaurant is large, with a rather majestic, almost formal setting, which makes a solid impression as a place to eat, but the quality of the food leaves much to be desired. Today, this resort does not maintain high Italian standards as it was before. However, the waiters are attentive and chatter is encouraging. The main restaurant features a diverse menu daily from breakfast to dinner featuring both continental dishes and cuisine unique to the Maldives. Themed evenings take place regularly, making it possible for guests to enjoy food and drinks from various countries, including fresh seafood and a Chinese cuisine. The renowned Nika Cocktail Bar with a nice patio over the water; these are the only all-inclusive venues, but guests can also pay for snacks and drinks at a smaller bar and a tiny coffee shop. The Cocktail Bar has all-inclusive snacks between meals. But, in truth, the place does not have enough image. Another point to drink and watch the sunset is a small terrace, outside the Sunset Bar. Unfortunately, during most of the year, the sun sinks in the Indian Ocean between water bungalows. Cocktails, fresh juices, ice cream, and minibar items all cost extra and after services charges and tourist tax, they aren’t cheap. For those who prefer sensual pleasures, the hotel has a choice of activities and music during the day and at night. It can be aqua-gymnastics, bocce, volleyball, Latin dances, quizzes and many other pleasant, mass events. A watersports center on the main beach offers kayaking, windsurfing, water skiing and banana rides. One bonus for guests is a local biologist, who walks around the island talking about the natural environment (including the banyan tree). 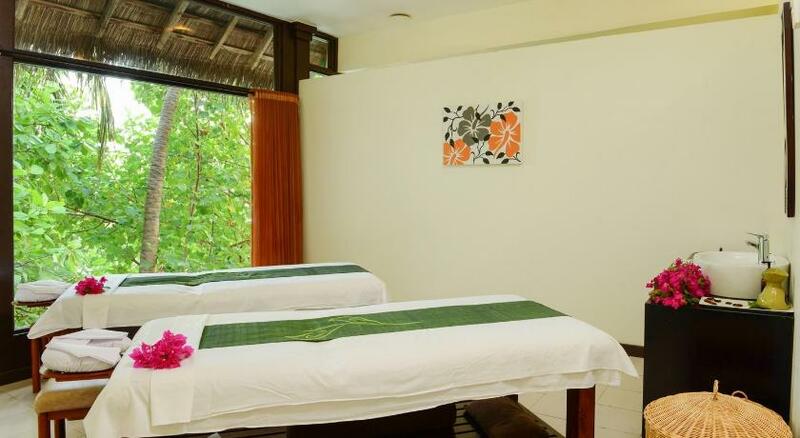 Coconut Spa - this company is well known and respected in the Maldives. The treatment room is on the top floor and there is nothing special about the decorations, but the Balinese masseuses are excellent. 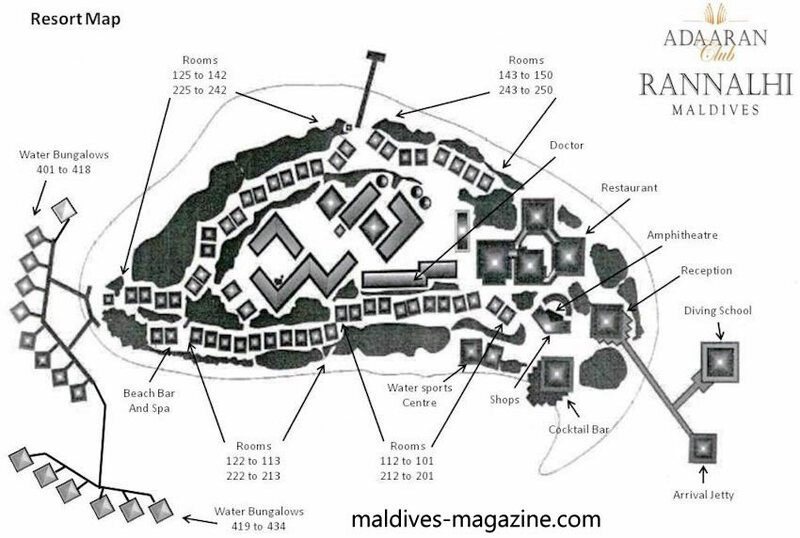 Reviews for the Adaaran Club Rannalhi are mixed at best with reviewers differing in opinions. Maintenance problems seem to abound, which is not something you expect at a 4-star resort in the Maldives. The staff also seems to have some problems as a few guests stated that they were less than friendly and lacked knowledge. This however could be something temporary as maybe the staff is new and still in training. Many reviews do mention that the reefs near the island are amazing, and the setting itself is spectacular. 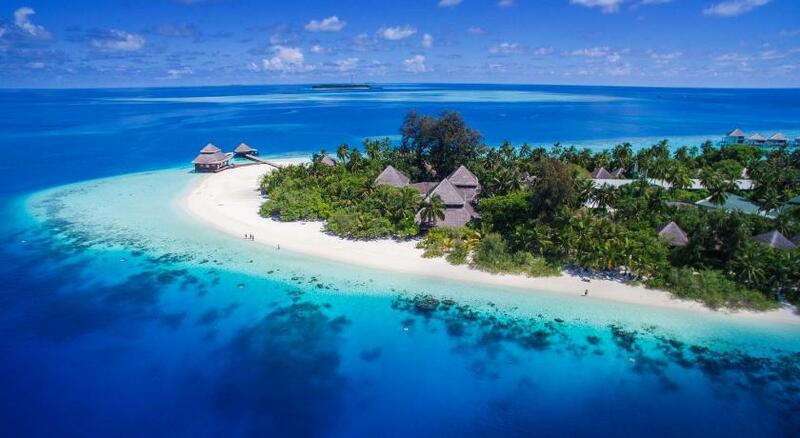 Quite a few guests also report being extremely happy with their stay, so it seems a tough call, but generally you are likely to find other resorts in the Maldives that seem to be more consistent. 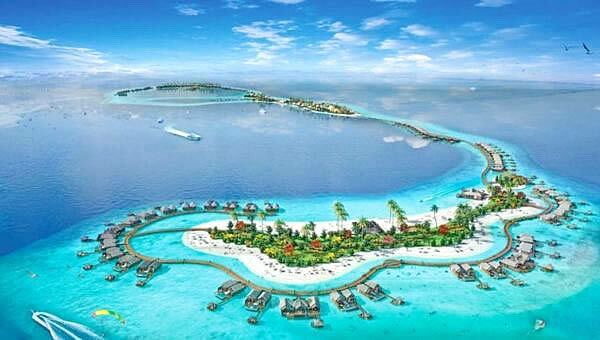 Clean and beautiful islandWater bungalows, especially distant ones, are more private and with impressive ocean views. Absolutely lively ocean! Lots of beautiful fish. Snorkeling is a great pleasure. All children are welcome but no kids' club or babysitting services. Accommodation with children is provided only in standard rooms.